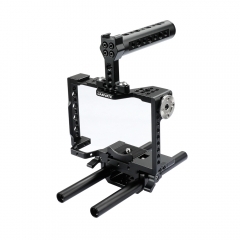 • This C-frame cage is well designed to provide a protective armor and also a mounting platform mainly for Sony A7 / A9 series cameras. 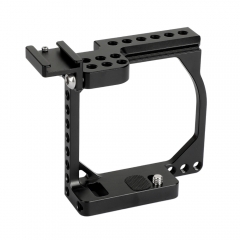 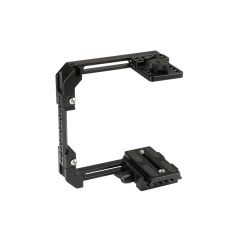 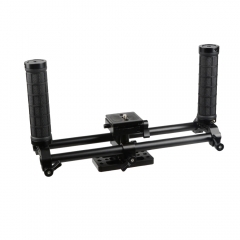 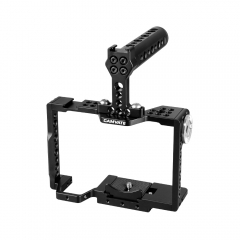 • Mounting availability for external accessories includes the NATO rail, shoe mount, ARRI locating hole on the top cage and numerous 1/4"-20 & 3/8"-16 threaded holes all over the cage frame. 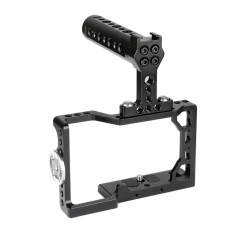 • This NATO-compatible rubber handle is detachable, movable, thread-off proof and hand-tight. 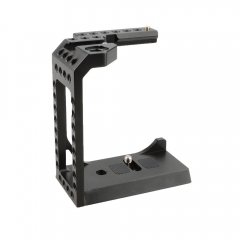 It’s convenient and comfortable to carry around the cage. 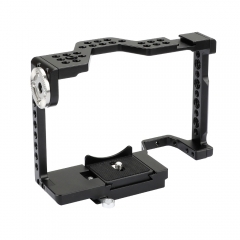 Sony A7 series: Sony A7s, A7RII, A7s2, A7sII, A7r3, A73, Sony A6400 and Sony A9.